I’m so excited about this class. 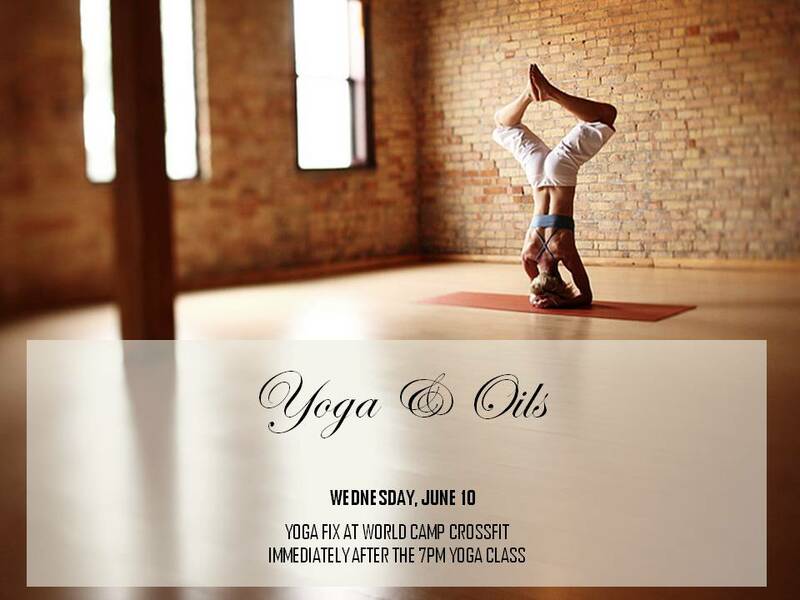 On June 10, I will be holding a mini intro to oils class immediately following the 7pm Yoga Fix class at World Camp Crossfit in Albany, GA. We will be going over all the oils in the Premium Starter kit and I’ll be explaining how they can be used in yoga and in everyday life. I will also have some of my favorite oils outside the starter kit! If you would like to come, the drop in price for the yoga class is $10! Preview: Nothing beats practice, but did you know Sandalwood, Cedarwood, Frankincense, Elimi, and Grounding can all be used to help with balance and stability in yoga poses?